Crown Princess Victoria and Prince Daniel welcomed a son yesterday! Celebrate the baby news (we have a name now, too!) 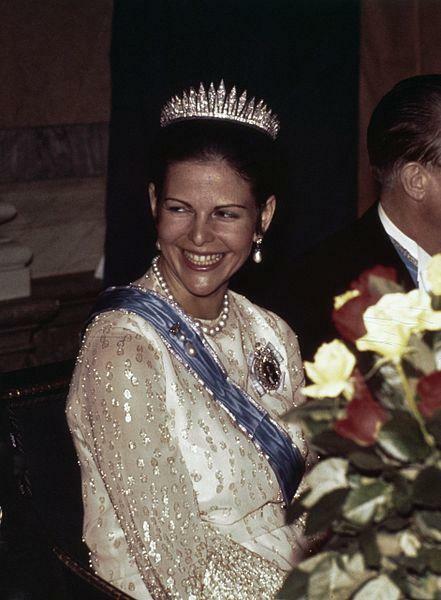 on yesterday’s news post, then celebrate here with a revisiting of Crown Princess Victoria’s signature tiara. The Baden Fringe Tiara (also known as the sunray or sunburst tiara and by other names) originates with a previous Victoria, Princess Victoria of Baden (1862-1930), later Queen Victoria of Sweden. It was a wedding gift from her parents, the Grand Duke and Grand Duchess of Baden, when she married Crown Prince Gustaf of Sweden and Norway (later Gustaf V) in 1881. The tiara is one variation on the popular diamond fringe style, with 47 diamond-shaped rays of graduated height. Queen Victoria wore the tiara as a necklace and as a dress ornament in addition to a head ornament, but now it is used only as a tiara. 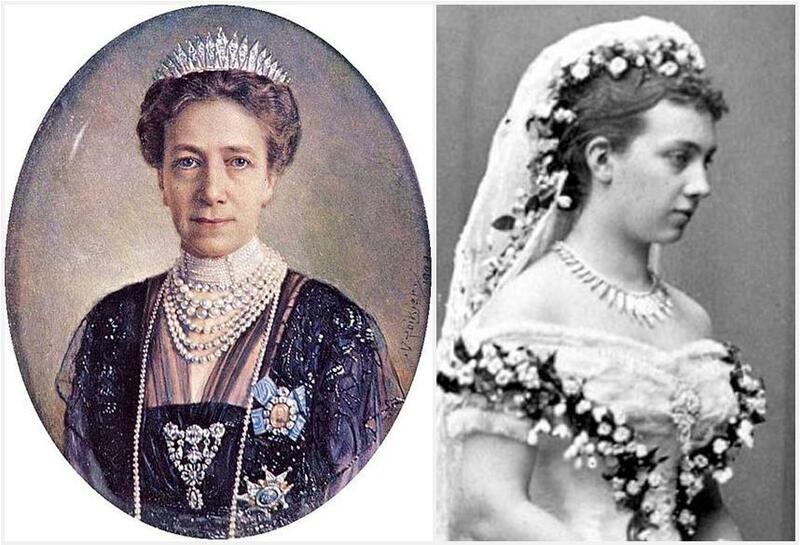 Queen Victoria received the tiara when she became crown princess, and she left it to the family foundation with the idea that it would be a piece for crown princesses to wear. 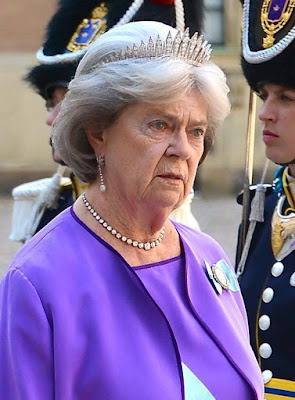 It hasn’t been restricted to current owners of that title, though; the Baden Fringe has been worn by others including Queen Louise, Queen Silvia, Princess Lilian, and all of King Carl Gustaf’s sisters. It has become Crown Princess Victoria’s signature tiara, and with good reason. The Baden Fringe Tiara is one of my favorite diamond fringes, and that’s not just because of the design, or because it resides in a country with the tiara hair skill to accommodate the way it wraps around the head (always a tricky thing to handle when it comes to hairstyle). 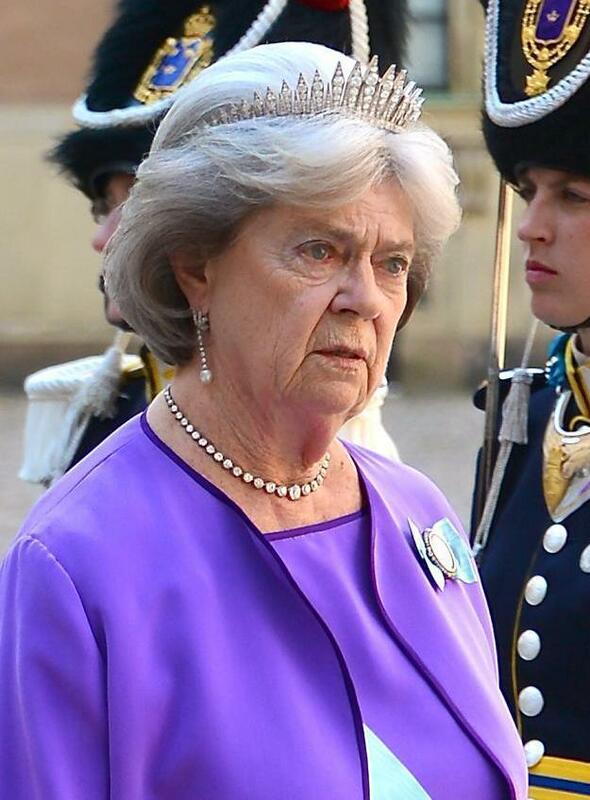 It’s also because it is an exceptional match for this particular tiara wearer. A crown princess tiara indeed. Is this your favorite tiara to see on Crown Princess Victoria?